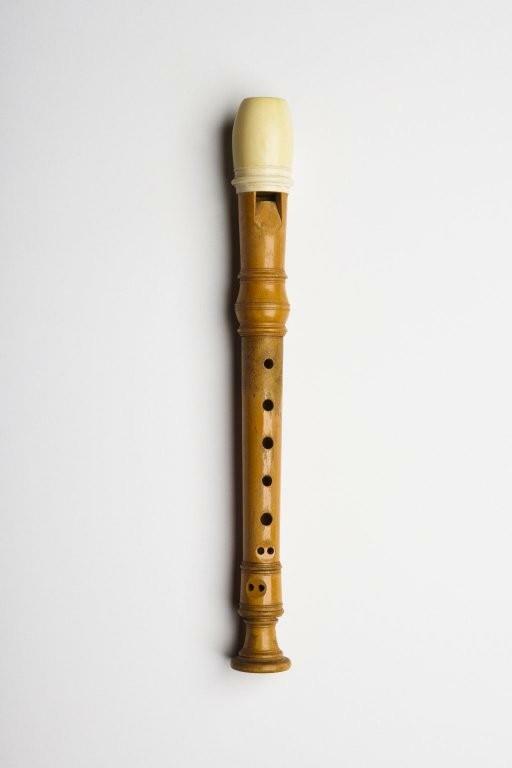 Sopranino recorder. Nominal pitch: F.
Technical description: Varnished boxwood; ivory sleeve over mouthpiece; 2 sections; 7 finger-holes plus ivory-bushed thumb-hole; lowest two finger-holes double; wooden block; cork-lapped tenon. Repair History: Thumb hole bushed in ivory by J. & R. Glen. Stamped "DOLMETSCH / BS3499" with British Standards Institution kitemark and "13113". Exilent recorder. Nominal pitch: G.